All my DIY experiences have been wonderful. These programs are exquisitely crafted and executed, designed for maximum results. The teachings, the asana, the home program practice, and the follow-up phone calls. Perfect. — Connie M.
Poses are taught and taken apart so that I could understand the subtle nuances. The pose handouts describe each pose from beginning to end. — Deena R.
The poses, gorgeous chanting, vichara (guided self-inquiry), meditations and discourses — all conspire to take you to that unshakable depth. And the luxury of time with Swami throughout the weekend was a great, great gift. — Deborah W.
It enlivened me on many levels: body, mind and spirit. As a result, I am now able to practice asana and meditation daily. I experienced the “Peace that Passeth Understanding” in a profound way and got tools to continue doing so. — Barbara B. The balance of poses, chanting, meditation and Swami’s discourses all leads you inward to Self. Each one builds on the next, creating “aha’s” as well as “aaaaaaaa-hhhhhhhhhh’s.” —Ellan C.
This exceptional program is well created to open you up to all levels of your being: physically, emotionally and most important spiritually. You are carefully guided into a deeper level of consciousness, your own Self. 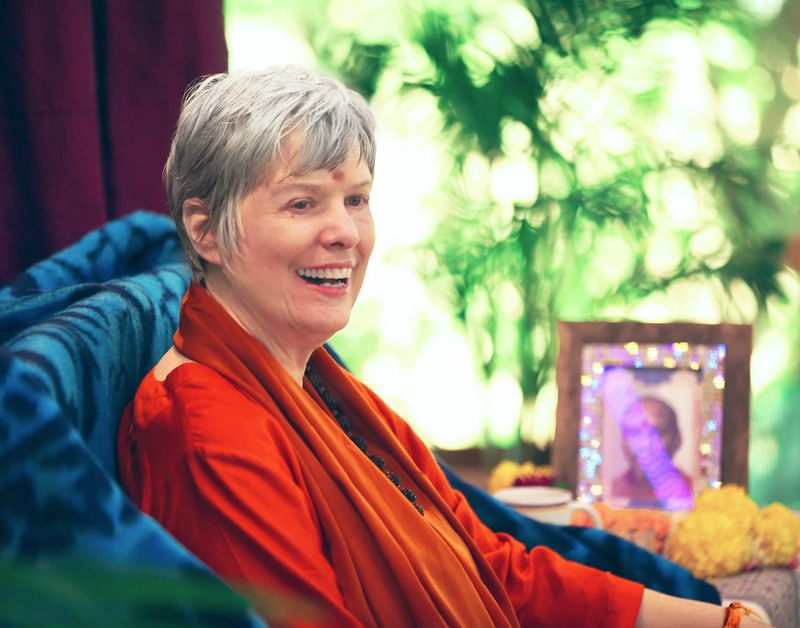 — Loretta F.
In this immersion retreat, we spend so much delicious time with Swamiji; these programs are very personal. These retreats are gems. — Belle M.
It was so transformational. It has deepened my practice and my life. — Marilyn A. Grace flows through the whole program like a river. The more I swim in this river of Grace, the more I abide in Grace. — Judith K.
Amazing integration of Svaroopa® yoga practices and lovely interactive time with Swami. Great integration for return home. I’m so blessed to have had this time with other dedicated yogis and the depth and length of time with Swami. — Barbara H.
This entry was posted in Ashram News on March 19, 2019 by Svaroopa Vidya Ashram.